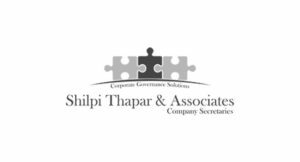 PROVISIONS OF SECTION 1 & SECTION 4 OF COMPANIES (AMENDMENT) ACT, 2017-NOTIFIED! As per the notification issued by the Ministry of Corporate Affairs dated 23rd January, 2018, the powers conferred by sub-section (2) of section 1 of the Companies (Amendment) Act, 2017 (1of 2018), the Central Government hereby appoints the 26th January, 2018 as the date on which the provisions of section 1 and section 4 of the said Act shall come into force. The Companies (Amendment) Act, 2017 which was passed by the Lok Sabha on July 27, 2017 and by the Rajya Sabha on December 19, 2017, has received the assent of the President of India on January 3, 2018 and subsequently published in the Gazette of India. The Amendment Act shall come into force on such date as the Central Government may, by notification in the Official Gazette, appoint and different dates may be appointed for different provisions of the Act. Rectifying omissions and inconsistencies in the Act. (1) This Act may be called the Companies Act, 2013. (1) This Act may be called the Companies (Amendment) Act, 2017. (2) It shall come into force on such date as the Central Government may, by notification in the Official Gazette, appoint and different dates may be appointed for different provisions of this Act and any reference in any provision to the commencement of this Act shall be construed as a reference to the coming into force of that provision. In section 4 of the principal Act, in subsection (5), for clause (i), the following shall be substituted, namely:- ―(i) Upon receipt of an application under subsection (4), the Registrar may, on the basis of information and documents furnished along with the application, reserve the name for a period of twenty days from the date of approval or such other period as may be prescribed: Provided that in case of an application for reservation of name or for change of its name by an existing company, the Registrar may reserve the name for a period of sixty days from the date of approval. Revised Section 4(5)(i) – Upon receipt of an application under sub-section (4), the Registrar may, on the basis of information and documents furnished along with the application, reserve the name for a period of twenty days from the date of approval or such other period as may be prescribed: Provided that in case of an application for reservation of name or for change of its name by an existing company, the Registrar may reserve the name for a period of sixty days from the date of approval. The period for reservation of name is substituted from sixty days from the date of the application to twenty days from the date of approval or such other period as may be prescribed. There were concerns that the period of sixty days for reservation of name should be from the date of approval and not from the date of application. This concern is addressed. A provision for existing companies is also provided. In case of an application for reservation of name or for the change of its name by an existing company, the Registrar may reserve the name for a period of sixty days from the date of approval.